Celebrate and remember the true meaning of Christmas with this Nativity set from Kurt Adler. The 11 figures included measure between 4" and 6", and the stable measures 11" x 16". 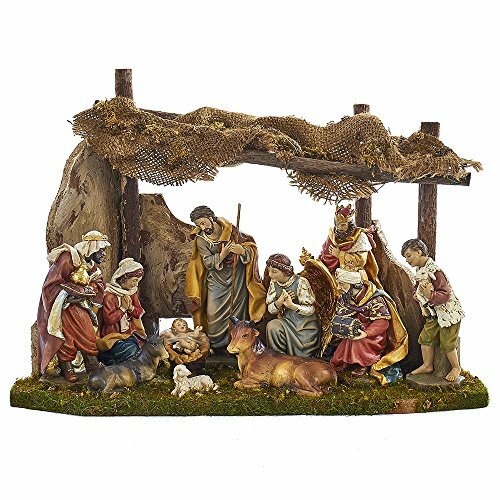 Figures included are: Baby Jesus, Mary, Joseph, the Three Wise Men, an angel, a shepherd, a cow, a donkey, and a lamb.